This easy pizza dough recipe is weeknight-friendly and ready to bake in just fifteen minutes. 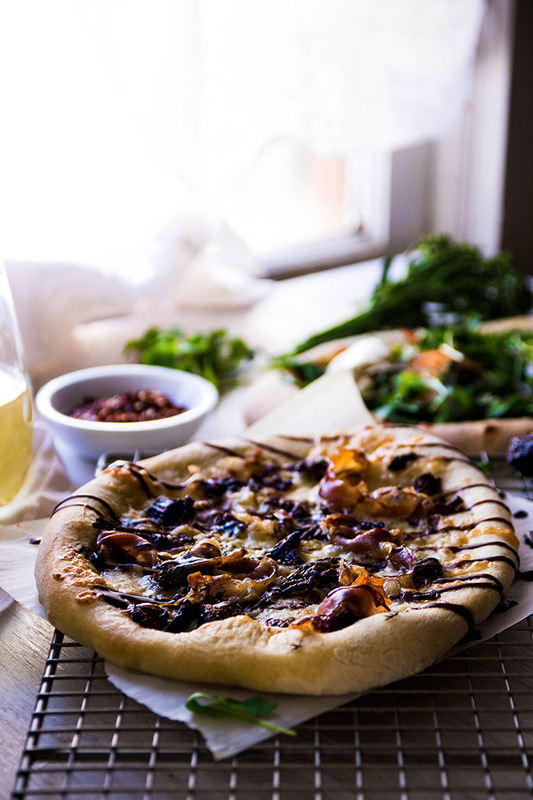 The perfect quick pizza dough for busy evenings. Vegan, vegetarian. I loooooove homemade pizza – if you follow me on Instagram, you know I’ve been teasing some serious pizza things lately (OMG SUSPENSE) – but on busy weeknights, making from-scratch dough and letting it riiiiiiise and then letting it rise agaaaaaiiiiin is literally the last thing I want to be doing. I want PIZZA. And I want it NOW. Enter this quick pizza dough. There’s really not a whole lot else to say about this recipe. It’s fast! It’s easy! It tastes good! You’ll have a hot (homemade!) pizza in less time than it would take to wait for a delivery guy! Aaaaaaand BOOM goes the dynamite. 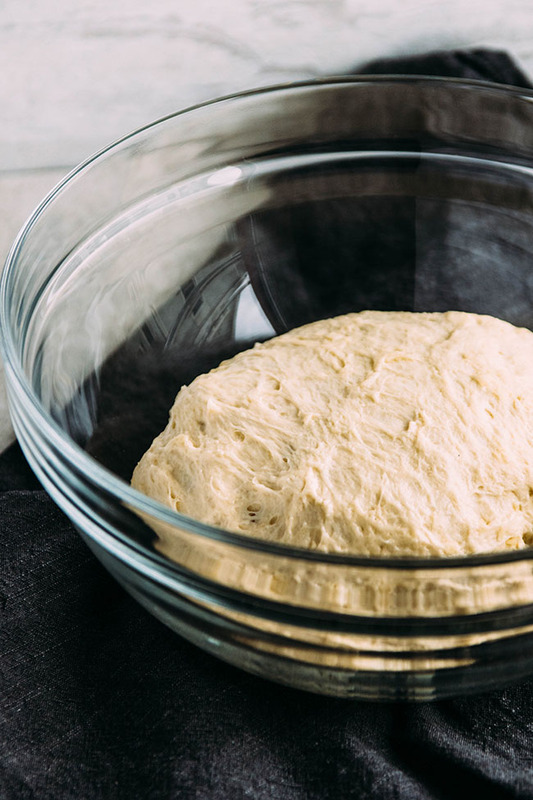 Easy, delicious pizza dough – ready to bake in 15 minutes. Mix yeast, sugar, and hot water in a large bowl. Let stand 2-3 minutes until yeast begins to foam. Add olive oil and salt to yeast mixture. Stir in 2 cups of the flour (you can use your hands for this OR you can use a sturdy spoon or spatula to bring the dough together). Take a look at your dough. If it is still too wet, add remaining flour 1/8 cup at a time and knead between each addition. The dough should pull itself into a ball as you stir but should still be slightly sticky to the touch. If the dough is too dry, add a splash of water or olive oil and stir or knead to work the liquid into the dough. Cover dough with a tea towel and let it rest for at least 10 minutes. (If you have more time, let it rest for up to an hour to develop more flavor). Turn dough onto a floured surface, dust the top with a sprinkle of flour, and roll or shape normally. Top with your favorite sauce, cheese, and toppings. Bake pizza on a hot pizza stone or inverted sheet pan at 500 degrees (or as hot as your oven will go) for 10-20 minutes until crust has lightly browned. 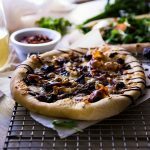 Use this dough with your favorite pizza toppings! I like Corn and Cilantro Pizza, Mushroom Flatbread, Breakfast Pizza, or this Italian Sausage and Arugula Pizza. Add dried herbs, fresh ground pepper, or your favorite cheese to this pizza dough to give it an extra flavor boost. For a darker, glossier crust, brush the outer edges of the pizza with olive oil or melted butter before baking. 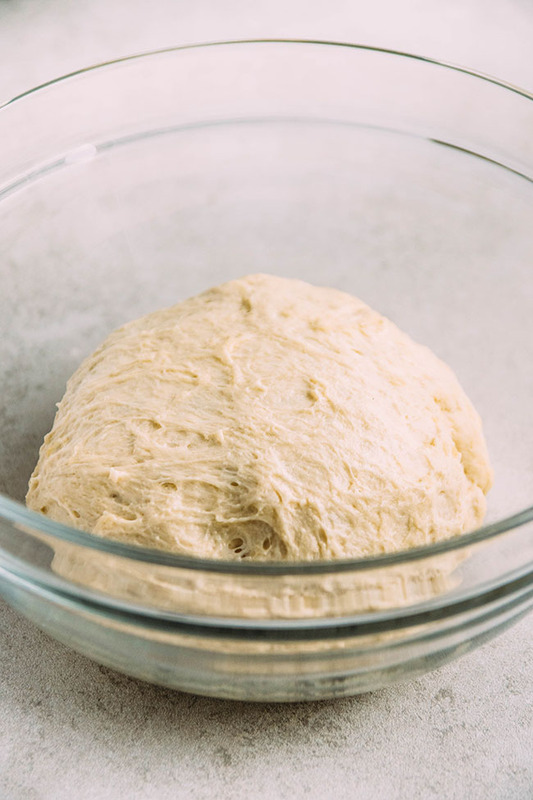 To remove sticky dough from a mixing bowl, run your hand under cold water and then run your wet hand around the edges of the dough as you flip the bowl towards your floured surface. The dough will release easily and in one piece. 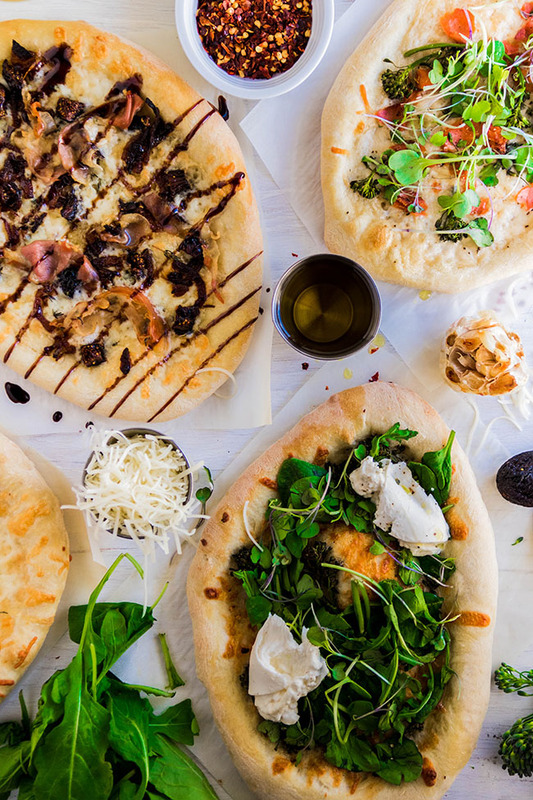 Bake on a pizza stone or inverted sheet pan at a high temperature for a crispy-on-the-outside, chewy-on-the-inside crust. Substitute 1 cup of wheat flour for 1 cup of all purpose flour if you like. You could also use bread flour in place of the all purpose flour for a lighter crumb. I made the recipe per instructions, except I added a teaspoon of sugar, and this is literally the best pizza dough I’ve ever eaten. Really, it’s excellent. Thank you sooo for posting this! Hi Jessica, thank you! It’s so yummy! Hey Maya, thank you! Glad you found us and it worked out. Hi Maria, love this! Pizza Fridays, awesome! Best homemade pizza I’ve ever made! Hi!! 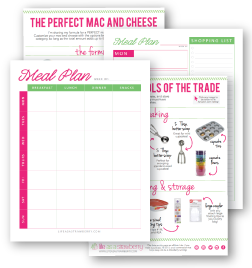 I love this recipe!! I have made it several times and I am so in love with your pizza sauce and this pizza dough. I was actually wondering if you could recommend a folding technique or somewhere where I can read how it’s done? I had one but I can’t seem to find it. Thank you so much for sharing these wonderful recipes!!! Hi Yahily! Are you asking about a folding/kneading technique for the dough itself? The video above the recipe has a good walk-through of how I handle this quick dough, and I also share a folding technique in my Easy Crusty French Bread recipe. Hope that helps! This recipe is my go to recipe. I was wondering if it freezes well though? I’m so happy you like it! I haven’t frozen the uncooked dough, although I imagine it would work fine as long as you give it ample time to come back to room temperature when you’re ready to use it. It also freezes great when baked – I bake the dough until it’s just barely cooked, top it with our favorite toppings, and freeze it for DIY frozen pizza on busy weeknights! Wahoo! I’m so happy you liked it!